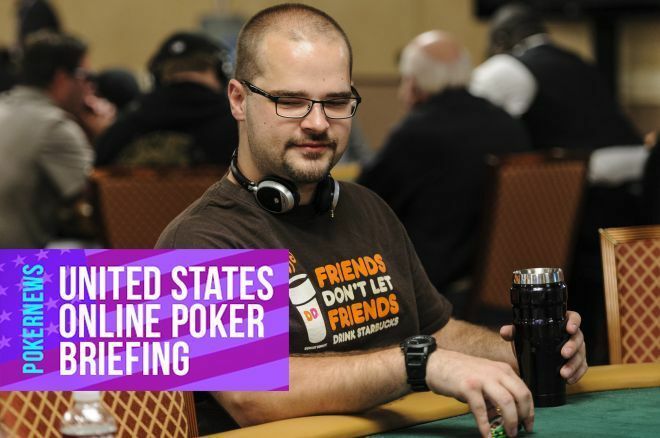 Matt "RubberFist" Stout is the biggest winner thus far in the WSOP Online Circuit. It was a huge week at American-regulated online poker rooms with PokerStars NJ wrapping up its Turbo Series and WSOP.com hosting the second-ever WSOP Online Circuit. The WSOP Online Circuit boasts 13 events from Feb. 26 to March 10 with more than $1 million in guaranteed prizes on the line. Each event awards a WSOP gold ring. The winner of the Main Event on March 10 and the overall leaderboard winner will each also be awarded entry into the Global Casino Championship. Matt "RubberFist" Stout became the biggest winner of the online poker festival thus far after he won $44,982 in the WSOP Circuit Event #6 - $100,000 NLH Monster Stack. Read on for a full look at the Sunday results from partypoker NJ, BorgataPoker.com, PlayMGM, WSOP.com NJ, WSOP.com Nevada, 888poker NJ, and the three 888poker clients in Delaware. The WSOP.com $10,000 Weekly Sunday attracted 119 entrants and 52 reentries to generate a $15,561 prize pool. A total of 20 players cashed for a minimum of $249. After more than five hours of play, "rgdoc" shipped the tournament for $4,357. Also on the podium was Scott "BigRiskky" Clements taking third place for $1,447. Other notable players at the final table included Fred "BiggDaddy" Farrell (fifth - $980), Kathryn "azulciel" Stone Cappuccio (sixth - $825), and Norman "Abnormality" Michalek (seventh - $654). 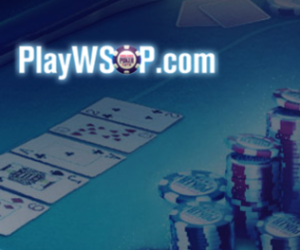 The World Series of Poker is the biggest and most trusted brand in poker, and now it has an excellent social poker room that you can play from anywhere in the world. The WSOP Circuit Event #6 - $100,000 NLH Monster Stack was by far the biggest tournament at American-regulated online poker rooms of the weekend. The tournament was a huge success with the 472 entrants and 140 reentries creating a $183,600 prize pool representing nearly double the $100,000 guarantee. After more than nine hours of play, Matt "RubberFist" Stout won his second-ever WSOP Circuit gold ring by triumphing in the tournament for $44,982. Joining Stout on the podium were Dylan "TheSmith" Smith taking silver for $25,245 and Anna "PoFuk" Antimony claiming bronze for $15,422. The WSOP.com $15,000 Weekly Sunday Deepstack attracted 190 entrants and 151 reentries to create a $25,162 prize pool. A total of 35 players cashed for at least $176. After more than eight hours of play, "Lagrock" shipped the event for $6,839 after beating "geNet1x_" (second - $3,900) in heads-up play. Others cashing at the final table included Bob "SLHalper" Taylor (fourth - $1,711), Jed "jchak" Hoffman (sixth - $1,208), and Kevin "prof.chaos" French (seventh - $906). PokerStars NJ offers unrivaled game selection, the biggest online poker tournaments, world-class customer service, and is considered to be the best regulated online poker site in the United States. The WSOP.com $30,000 Weekly Sunday attracted 51 entrants and 32 reentries to create a $38,761 prize pool with nine players cashing for at least $1,434. After more than five hours of play, "Loco4coco" defeated Joseph "megolaman1ac" Liberta in heads-up play to collect the $11,628 top prize. Liberta walked away with $6,783 for his runner-up effort. The remaining players at the final table included Anthony "PhilLaak" Pagan (third - $4,729), Anthony "Flawlessbink" Maio (fourth - $3,954), Craig "imgrinding" Varnell (fifth - $3,140), and Jed "jchak" Hoffman (sixth - $2,752). 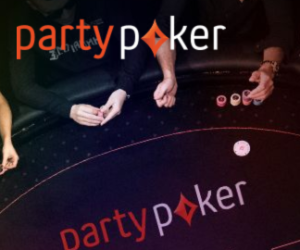 The BorgataPoker.com/partypoker/PlayMGM Sunday $35K GTD attracted 129 entrants and 73 reentries to generate a $40,400 prize pool. After almost eight hours of play, "Plesiosaur88" and "mrnissan50" agreed to a heads-up deal awarding the duo $6,787 each. Brian "pure_reason" Wood finished one spot behind in third place for $4,000. Bowing out early at the final table were Yong "IReadYrSoul" Kwon in eighth place for $1,656 and Anthony "Flawlessbinkage" Maio in ninth place for $1,656. 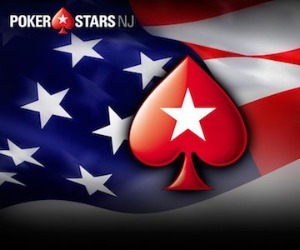 The PokerStars NJ Sunday Special - $30,000 Gtd attracted 120 entrants and 61 reentries to create a $33,666 prize pool. After nearly 6 1/2 hours of play hours of play, Ross "rosseg" Gottlieb shipped the event for $7,238. Anthony "FlawlessBINK" Maio earned his third appearance this report with a third-place finish for $3,956. Also at the final table were Matt "el binko" Iles in fourth place for $2,946 and Michael "ForTheThr1ll" Haberman Jr. in fifth place for $2,020. The PokerStars NJ Turbo Series 26 - Main Event - $25,000 Gtd was a massive success with the 416 entries generating a $38,189 prize pool. After more than 4 1/2 hours of play hours of play, "1EveryDay1" and "mikeytambo" agreed to a heads-up deal awarding each player $6,004. 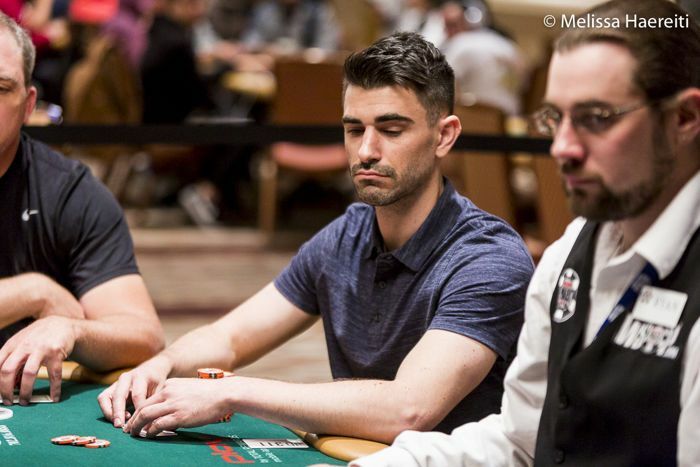 Also at the final table were Brian "Wsopboy1997" Sherrier in seventh place for $1,091 and Anthony "OmgYouStink" Cicali III in eighth place for $802. If you play regulated online poker tournaments in Delaware, Nevada, or New Jersey and would like your real name appearing in future articles, please contact Jason Glatzer via email at jason.glatzer@pokernews.com or via Twitter under @JaxonPoker.